When it comes to daily beauty tasks, I'm all about trying new, innovative products. 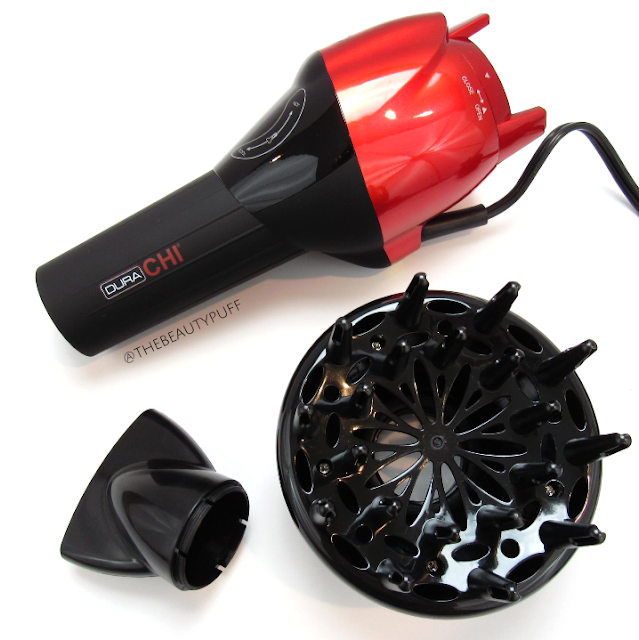 The new Dura Chi Hand Shot Hair Dryer is unlike any other blow dryer I've tried. It has more customized settings than a standard dryer and a unique design that allows it to stand on its own. It has totally changed my hair routine for the better! Design | The Hand Shot Hair Dryer is a free-standing blow dryer that can be placed safely on any flat surface for even easier styling. I love that I can put it down for a moment while drying my hair without struggling to reach controls or worrying about it slipping on to the floor. Attachments include an air concentrator and a diffuser for personalized styling. Controls | This blow dryer has six speed and heat settings that can be adjusted easily on its touch-sensitive display. You simply swipe your finger on the controls to increase or decrease the temperature or speed. Once you have it set the way you like, the settings will lock in a few seconds. Or, you can press the power button once. To change the settings, simply press the power button again and adjust. This feature prevents the speed and temperature from changing accidentally as you dry your hair. The power easily turns on and off by holding the power button down for a couple seconds. 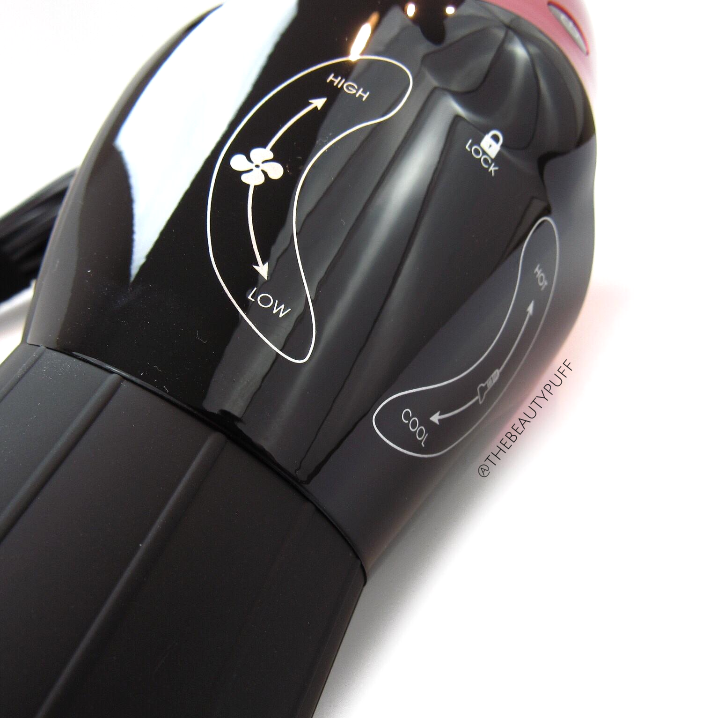 Function | I love how the Hand Shot Hair Dryer has changed my haircare routine. It's a lot easier to hold and use than my other blow dryers. My arm and wrist don't hurt after holding it for an extended time either (and I have long, thick hair, it takes a while!). I also love the multiple setting options. Standard dryers only have two speed and temperature settings, but this one can really be customized to your particular needs. If you're looking to upgrade your haircare routine, I definitely recommend checking out the new Dura Chi Hand Shot Hair Dryer below!